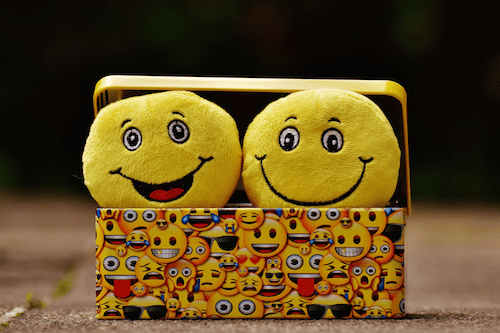 At DSJ Printing, we follow one simple concept... treat our customers not only the way we would like to be treated... but the way that you deserve to be treated. Since 1953 we have offered the finest printing and graphics services. We thank you for allowing us to serve your needs, now and in the future. We welcome your comments and suggestions. Let us know about your experience with our staff and how great your printing came out so we can make your next visit to DSJ Printing even better. See customer testimonies below the comment form. I wanted to thank everyone who worked on making our business cards. They look fantastic! We greatly appreciate the DSJ team for being so accommodating of our very fluid schedules and timelines over here, and for producing such a stellar product. Came here to print wedding invitations and was so pleased with the service we received. They were so incredibly kind, patient, and helpful which made our experience so amazing. I recommend DSJ to anyone that wants that special of a service. Couldn't have done it without them!!!! Just got another couple of projects from DSJ and they came through as always. I've been going to them for printing since the 1970s with all kinds of printing needs and they always meet my challenging deadlines with beautiful work. They are always professional, efficient, and calm me down if I freak out. For printing, they are as good as it gets. I've been doing printing for my business at DSJ for many years, and I have always received excellent service and high quality printing. The crew is extremely nice and helpful. I greatly appreciate that they make suggestions for doing jobs the most cost effective way. DSJ Printing is awesome. They make high quality prints and their customer service team is as good as it gets. They're fast, efficient and communicate with their clients well. Also, the guys working in the shop are incredibly kind and helpful. Last week, when I went to pick-up a print my car battery died. One of the staff, I think his name was Rene, was nice-enough to pull his truck around, stop traffic and jump my car with his cables. Great local printer, fast service and competitive pricing. My co worker recommended that I get my wedding invitations printed here. They were very helpful via email and in person. Thanks!!! I went for them to print some Save the Dates I designed. They gave me some advice regarding what paper to use and adjusting the colors on my file. They were so incredibly kind and patient! The Save the Dates turned out great and so far everyone has loved them! I regularly recommend this company. They are old school, friendly, and professional. They did an excellent job on my client's cards, and the price was very reasonable. DSJ did an excellent job on my portfolio. They gave me extra copies that I didn't even ask for! I would definitely use their services again. A really excellent printer with personalized service. I came by needing some business cards done. They were helpful and turned out even better than I had envisioned. In my case, I did the design myself using Canva. I know they have a respected design staff and a lot of high-profile clients. Some neat old fashioned printers in their window too. This team was exceptional! We had our wedding invites printed here and he not only delivered them on time but when we noticed a problem with them (that was completely our fault) they reprinted them by the night the following day. Great price for everything. Great quality. We will definitely be back with future projects! These guys know what they are talking about! Thanks for our great wedding invites! The entire team at DSJ is absolutely amazing. I rarely write reviews but our experience warranted one. We were on a tight schedule and needed prints done asap. They delivered earlier than expected. BUT when I picked up the print job, I realized a made a huge mistake and ordered it on the wrong stock. They immediately worked with us with the correct paper stock, printed and cut our order in the 12 minutes were were engaging in an animated conversation with Michael. Incredible! Quality and professionalism are impeccable. Thanks again for saving us and we will be definitely be going to you guys from now on. DSJ truly is as good as it gets. Not once, but three times they have come through for me. Last minute, with excellent quality and customer service. I am so grateful to have them on my 'team." They truly saved me from not being able to provide books to orders that were being placed. Thank you! The whole staff was nothing but cordial and helpful every time I called! DSJ went above and beyond to make sure everything I ordered was absolutely perfect. They went back and forth on email with me and met all of my last minute needs! They even sent my stuff out to me. They are the BEST!!! In terms of time estimation, I spend about 2 minutes creating/sending a proof. Prior to the system, I would spend about 7 to 10 minutes per proof. Also note, there is major time-savings in the fact that I can just make a proof and push it through immediately, without having to group proofs. That was often a puzzle on my side because I’d have to wait around before pushing an order through if we didn’t meet the run quantity, and it would cause some employee concerns regarding the timeliness of their card order. So on average, I probably save an 1.5 to 2 hours a week with this new system! i walked in here on a lark. really, i was just looking for a place that had pantone colors to look at. as i looked at the colors they started asking me questions. what is this for? what kind of paper? did i need this color wheel or that? coated or uncoated? what kind of printing process? i realized quickly that i had no idea how to answer any of his questions. they began to educate me, and wound up helping me immensely. i was so impressed right then and there that i offered to give them all the work my small business would ever need. boy am i glad i met them. since then they have saved me countless times, come up with creative solutions, done exquisite retouching and editing for me, and their print work is beautiful! i feel like they are literally partners in my business. i could not imagine a more wonderful print shop. they are so very very knowledgeable. this is not your ordinary print shop is all i can say. run, don't walk. I had a personal project that I wanted printed but I knew nothing about the print world. The DSJ team talked me through the proper way to set up my document before I even picked them for the job. Wizards on all things Adobe and extremely helpful, patient, and even recommended some ways to make it better. After the job was submitted and printed I had two changes; they only reprinted the effected pages which saved me a bundle. I highly recommend DSJ printing and look forward to working with them again. LOVE these cats! DSJ provides amazing results and the staff is always kind, cheery and helpful even when I don't have all my bearings, they always help out and the print quality is simply fantastic! These guys know what they're doing - No joke! I just had to write this review in regards to the tremendous amount of help that, not only the entire staff at DSJ printing provided. They helped me out printing my head-shots along with my resumes on the back. When I asked if they would mind setting up the head-shot with my name and info they said, "no problem Sean." They were so generous and kind throughout the whole process it was unbelievable! I then realized I had made a mistake on the address I originally sent on the resume portion of the head-shot they then printed out a bunch of little stickers with the correct address and posted them on! Then, after all this I was extremely strapped for cash, I am not scared to say, and had an interview with an agency that day and they were gracious enough to just allow me to pay for one until I could pay for the rest in a couple days when I finally got payed! I know I am disclosing a lot of information about my experience with DSJ but I can't say enough. I haven't received this great of customer service, genuine care, and the willingness to help in a long time. Especially in LA. Thanks so much to DSJ for a wonderful experience and for the unbelievable customer service! I would like to thank the entire crew at DSJ for continually providing outstanding work and excellent service over the years. They have impressed both me, and clients again and again with their high level of dedication to print jobs, as well as the top quality printed products that they deliver time and time again. Way too many times I've called needed something printed on a VERY tight deadline, and Jeff's answer is always "No problem!" When I was asked to find a local printer who was able to provide us with sustainable printed products, while still maintaining competitive prices, I was skeptical. DSJ Printing has done just that, and they have continued to research and provide new options for keeping our jobs green, making my job easy. I've had DSJ print custom 4-color jobs, large-format poster printings, small color copy jobs and last-minute proposals. The quality of the printed product and friendly approach of the DSJ staff is sincerely appreciated. I'm always happy for an excuse to stop in and chat with the guys that work there. Really! Searched on line and checked Yelp comments before going to DSJ Printing. Once there I was pleased by the response to my somewhat messy and complicated request for 3 large posters. In spite of a medical emergency experienced by one of the staff members, they rallied around, worked with me and completed the job on time and with perfection. Everyone who saw the finished job was delighted and commented on both quality and professionalism. I went from being concerned as to whether my project would be completed to being thrilled at the finished product and the response of the staff. I will return. Thank you. I was amazed by the level of service and kindness at DSJ. Yesterday, I went in hoping to place an order before the holiday weekend. After learning that they were closing early and would be closed until Tuesday (it was a Thursday), I was a bit bummed, but understood that it was my fault- I had waited until the last minute. After talking to them for a little bit, they told me that they could do my small print job on the spot for me! They took the time to show me the different kinds of card stock for business cards, the difference between all the kinds of printing they offer, and even printed a test run of business cards for me on 2 different kinds of stock! They were so patient and helpful, I never even realized that they stayed later to run and cut my prints before taking off for the holiday weekend. I will definitely be returning to DSJ for all my printing needs! I got my business cards done there and it was a little complicated because I did my own artwork and it had to be sized and centered to line up on the front and back. It was not a high dollar job for them, but they treated me like it was and this is reflected in the final product which is beautiful. I am very happy. We had new haircut prices designed and needed them printed and laminated. Our designer took our project to DSJ and they laminated and printed our new signs. They turned out amazing! We were able to get our new signs up and in our shop the next day. We would go to DSJ for anything we need printed! Keep business local and go with some professionals! You won't be disappointed. Had a great experience working with DSJ printing. So great, I just had to sign up for Yelp and post my first review. I work in a different city from my client so it wasn't easy finding a reliable printer when I couldn't visit in person. Yelp helped me find DSJ so now I must return the favor. They were very patient with our many questions and requests, we must have sent him 40 emails about one job. They kindly created proofs for us on various stocks so that we could see the results before committing to the full run. They also took the time to explain the ecological benefits of printing digital vs. offset. I'm relieved to have a printing resource in the LA area that is economical yet takes pride in their work. Thanks DSJ! To all of your DSJ family, thanks for the generosity and quality you gave us for Alexandria's baptism. We appreciate the long and sincere relationship during these over 30 years of neighborly support. 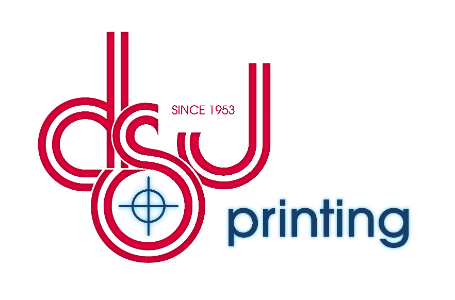 Go see DSJ, they are very helpful and service oriented on every print project I had done. I would recommend DSJ to anyone. They truly care for their customers and you notice a difference in service. Keep up the good work guys. Worked with them recently and very pleased of the result, great service and really helpful. I went to three different print shops before arriving to "DSJ printing". Don't waste your time with the other places. DSJ printing was awesome. I went in to try to get my resume printed and they let me make corrections to the format on their computer before hand, no charge, no rush. They were very helpful and hooked me up with some nice paper for the little money I had. That was a week ago. Thanks to them I have a job as of yesterday. I highly recommend going through DSJ for any and all printing needs. I searched for years before I found DSJ...but thank goodness I did! They have always been able to do what I needed when other printers thought it was impossible. I have worked with a few people there and they are patient (they sure need a lot of it with me!) as well as talented and knowledgeable. I even called on a Saturday, not knowing they were closed, and the owner was there and spoke with me at length just to be helpful. I think they also sell "green" products which makes them all the better. I cannot recommend them highly enough! The best print shop I've ever been to! Everyone at DSJ is so helpful and nice. They don't make you feel like a moron if there are some things you don't understand about printing. They actually took the time to make sure that my document was set up correctly for the print I wanted. They also gave me lots of advice and tips about printing and document set-up. For anyone needing good quality prints, brochures, business cards, etc. you should definitely go to DSJ! Need holiday greeting cards, stationary, a stunning menu, or other signage for your business? Don't know your CYMK from your elbow? The family at DSJ taught me better living through good graphics. This family-fun printing shop is a wonder world of ink, efficiency and superlative service. If you've ever suffered the indignation seeing your marketing materials slaughtered by Stinko's, go with a local pro. Pay a bit more and wow your customers. DSJ encourages you to control your own vision, but they always make suggestions that will enhance your concept. Can't say enough about these people, the whole staff bends over backwards to see that your business looks its best. DSJ RULES.